Victorian, a trend-setting Delta Collection, designed with distinction and a touch of old-world charm, will create a fun new project, while delivering inspired bathroom décor with coordinating faucet, shower head and bathroom accessory options. Casual styled bath accessories exude poise and class with simple yet relevant design. The Victorian Collection is available in Polished Chrome, Stainless Steel, Venetian Bronze, Champagne Bronze and Polished Brass finishes. 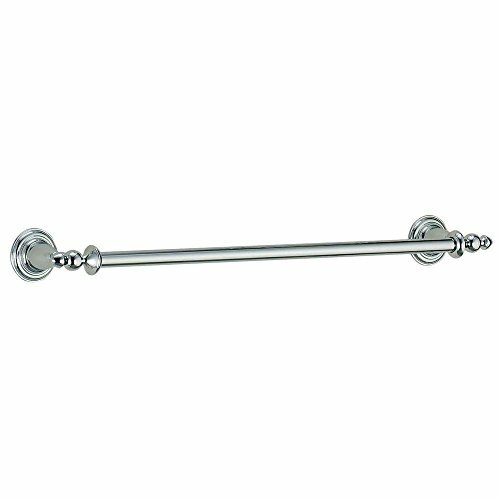 This 18" towel bar will keep your bathroom organized .